Masonry monument signs and faux monument signs offer an elegant look for your property. Monument signs are traditionally installed low to the ground with clear visibility to traffic. Sign-Express can match your existing building brick or stone then create a monument sign solution that everyone will enjoy. 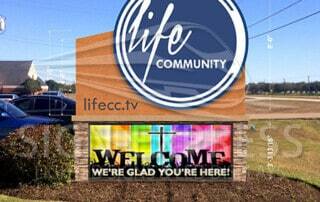 There are endless possibilities to designing a sign that fits your location requirements. 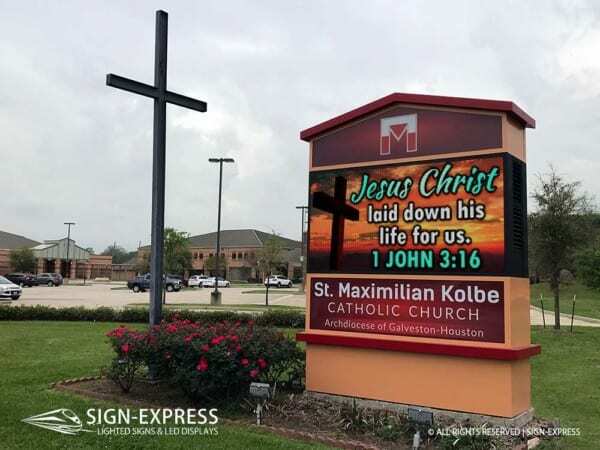 Sign-Express offers FREE design services to our clients when creating an signage solution. 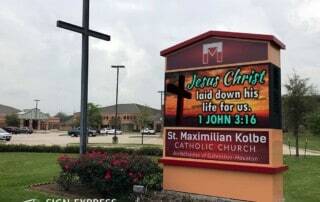 Illuminated monument signs or non-illuminated monument signs, LED monument signs or changeable letter monument signs, our sign design professionals will work with you to create a beautiful and affordable monument sign solution. Contact us today, we can’t wait to see your new monument sign design. 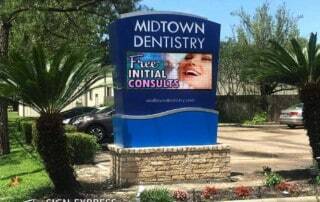 Contact us for a free consultation on your signage needs. 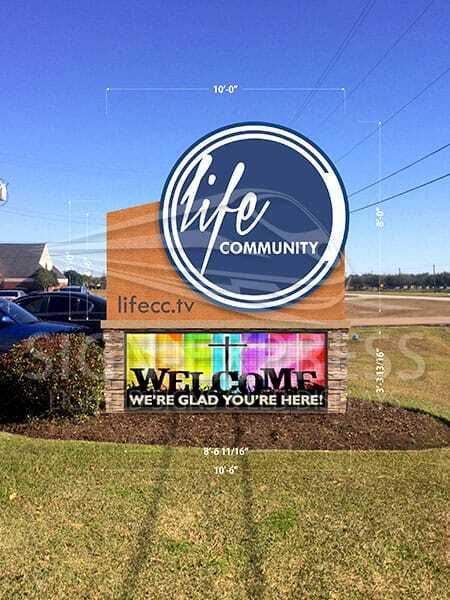 Sign Designers are standing by to assist you in creating the perfect lighted sign or LED sign combination to enhance your image and increase traffic for your location. 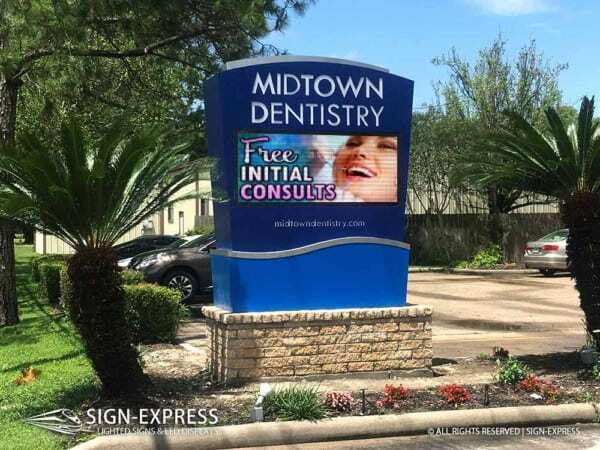 How Much Does an Outdoor LED Sign Cost?